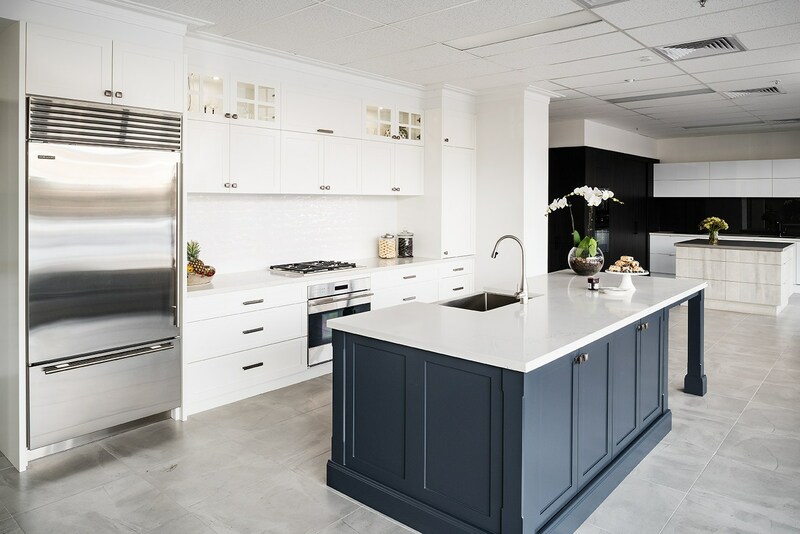 When you partner with Rosemount Kitchens you'll benefit from kitchen design, renovation and project management expertise that’s led to an ever-growing list of delighted customers. Kitchen renovations can seem exciting and daunting at the same time. Our Melbourne-based design experts and tradespeople are absolutely passionate about making your project as stress and hassle-free as possible, and delivering the best results for your budget. Or call us to turn your dream kitchen ideas into reality. Kitchen design has come a long way in recent years, and our professional kitchen designers are the best in the business. Whether you’re looking for a modern or contemporary feel, or something more traditional like a French Provincial kitchen, our specialists will advise you on every detail from initial design to installation. We’ll work to understand your needs to create a kitchen that’s perfect for you and your family’s lifestyle. Be inspired by some of our most popular kitchen styles. Kitchen renovations are major undertakings, but Rosemount strives to make the process as stress-free as possible. We combine decades of experience with intimate knowledge of the latest trends to navigate you through your project from start to finish. It’s easy to fill a space with cabinets, benchtops and drawers, but much harder to come up with kitchen designs that make a space practical, functional and beautiful. We’re absolutely passionate about creating the best kitchens possible. You can feel safe in the hands of a registered and licensed building practitioner (Licence No: CDB-L 48241). We’re also members of the Housing Industry of Australia (HIA) and Cabinet Makers And Designers Association (CMDA). From the initial consultation when we first discuss your wish list to when you tell us you’re delighted with the completed new kitchen, we’re with you every step of the way. Our start-to-finish process ensures you get the best result. We use the highest quality products in all of our kitchens. They meet Australian requirements, are built for Australian conditions and stand the test of time – something you won’t find with cheaper, inferior products. We are totally committed to you, the client. We believe the job is only finished when you are 100% happy. And you benefit from our 10-year guarantee. One of the big differences to other companies we saw was they really listened to what was important to us. We get people asking us all the time who did our kitchen renovation and we are proud to say Rosemount Kitchens. People love my new kitchen, and are blown away with the transformation. For me, it’s not just beautiful, every part is so functional.